When it comes to entry doors, no building material is stronger than iron. This high quality and durable metal is crafted specifically to guarantee that no unwanted intruder can ever gain access to your home. This metal cannot be broken or damaged by the average burglar. Even nasty weather won’t be able to damage these strong doors. Security is a large concern for most homeowners and they want to ensure that their family and the house are protected. They may purchase state-of-the-art security systems and even consider placing bars across the windows. They know that such bars may not be aesthetically pleasing, but if they make the house more secure, then the homes beauty is a small sacrifice. Homeowners who choose wrought iron entry doors can make their homes as secure as a fortress without making it look like a jail. 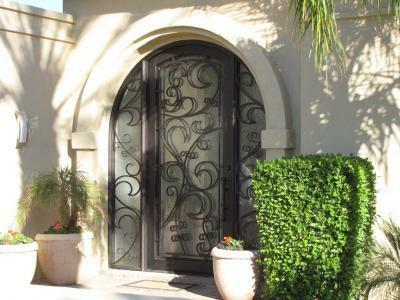 Custom wrought iron doors feature elegant and dramatic designs that are suitable for just about any home’s architecture. However, even more important than the beauty such doors bring to a home is the security and peace of mind they provided. 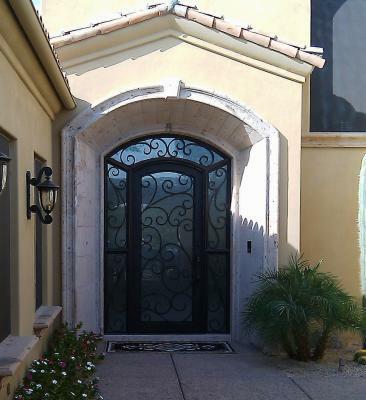 Signature Iron Doors Invites you to take a look at our website and contact us to speak to a knowledgeable representative to let us help you discover your homes potential.